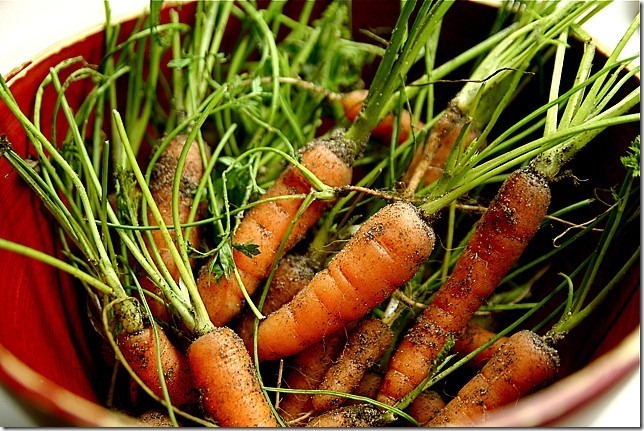 If you’d like to enjoy fresh, homegrown vegetables, make better use of your yard or garden and contribute to a local, sustainable food system in Ottawa at the same time, here’s an opportunity. Capital Greens is a local business that transforms space in backyards into pesticide-free vegetable gardens. 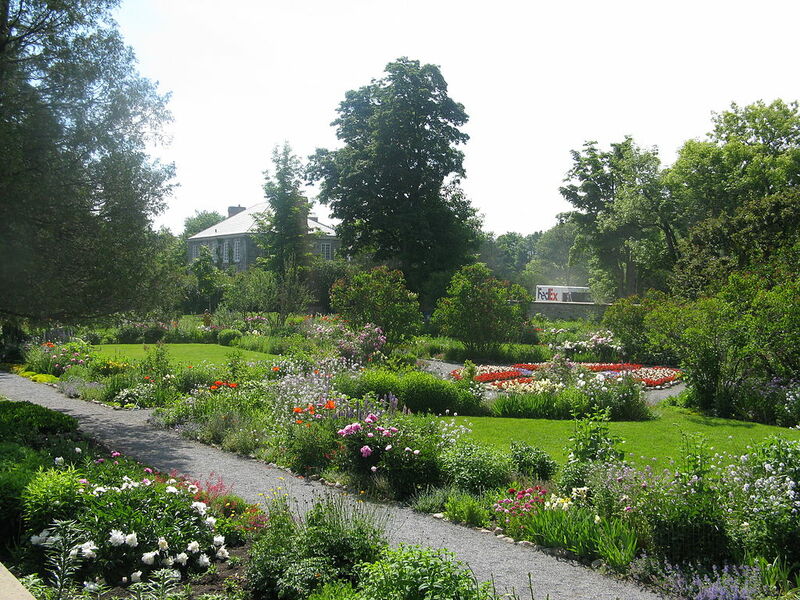 They do all the gardening work, and in exchange, yard owners receive some of the harvest every week. Capital Greens sells the rest to neighbours and local restaurants. Capital Greens owner-operator Mathew Levinson started operations last summer in the Westboro/McKellar area, converting sections of lawn in area yards into gardens to grow leafy greens, tomatoes, peppers, carrots, beets, herbs and more. Interested? Not sure? Capital Greens will provide a free yard appraisal to make sure the conditions and space will work. There’s more information and a contact form on their website. Some great pictures, too. Let us know if you check it out! Posted by Denise Deby. Thanks to Mathew Levinson, Capital Greens Urban Farm for the information. Written by Denise Deby. Thanks to Michael Calvert, Ottawa Veg Fest for the information and post suggestion. Ottawa’s annual celebration of all things vegetarian and vegan happens Saturday, June 4 and Sunday June 5, 2016. Ottawa Veg Fest is an exhibition of local plant-based food–including non-dairy cheeses, ice cream and chocolate, baked goods and meat alternatives–and other products and services. There’ll be samples of food, cooking demonstrations, speakers and information about local organizations and businesses. Ottawa Veg Fest happens at the RA Centre, 2451 Riverside Dr., from 10 a.m.-4 p.m. both days. Admission is by donation, with proceeds going to local non-profits (last year the Ottawa Food Bank’s Community Harvest Program, and the National Capital Vegetarian Association). There are more places than ever in Ottawa to find great vegan and vegetarian food and other products—including new businesses Little Jo Berry’s, Rawlicious, Grow Your Roots and Thirteen Muesli, well-established options such as The Table Vegetarian Restaurant, Simply Raw and Planet Botanix, and lots of other food and personal care products and services. That’s reflected in the large number of exhibitors—more than 80—at this year’s Veg Fest. Ottawa Veg Fest is for everyone, vegetarian or not: it’s a great place to discover local food producers and vendors. Very often international cuisines are a plant-food lover’s best friend. From Indian to African to Japanese, international foods open up new ways to eat your veggies. Visitors to Veg Fest will be able to sample and purchase food from Asian Stars, Baccanalle, and All About the Soup – which has a huge range of international flavours covered with its soups. Sometimes it’s all about the presentation, but other times you just want filling and hearty options that remind you of the warming dishes of your childhood. Panago Pizza will be there serving vegan pizza, and The Table Vegetarian is renowned for its delicious and hearty whole foods comfort dishes. Just in time for summer, Veg Fest will be a great place to learn about the lighter fare that our bodies often want during the warmer months. You don’t want to miss SimplyRaw Express, returning as a sponsor, as well as new Ottawa vegan restaurant Rawlicious. Who doesn’t want to sink their teeth into a succulent cupcake, or enjoy the guilty pleasure of a cookie? You can find those at Veg Fest too! Both Strawberry Blonde and Sweet Cheeks bakeries offer entirely vegan and gluten free treat menus, and will be at Veg Fest with an array of their offerings. 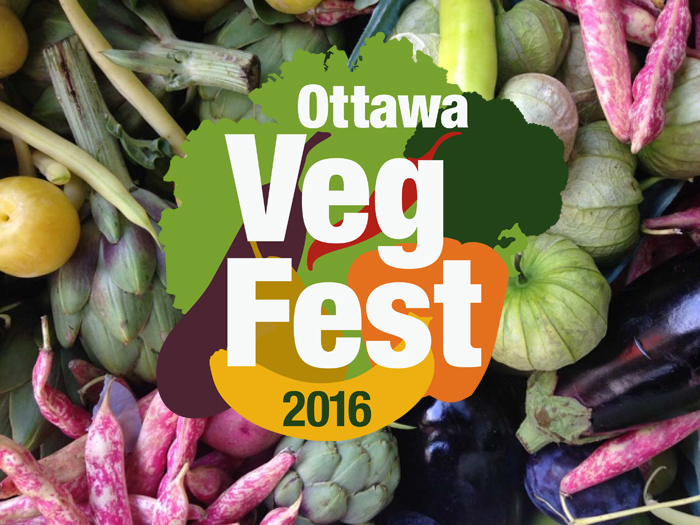 For more information about Ottawa Veg Fest, see their website. There’s no shortage of things to do this weekend, June 6-7, 2015. Doors Open Ottawa opens the doors to more than 120 Ottawa landmarks and interesting places. If you’ve ever wanted to see inside an embassy, an architecturally significant building, an artist’s studio, a greenhouse or a historic site, check the list (and schedule). Giveaway Weekend happens June 6-7. You put household items you no longer want on your curb, mark them “free,” and people can take them away. (There are some restrictions—for example no cribs or car seats–so check the website for guidelines.) Lots of garage sales happen this weekend, too, so you might find something that you need (and keep it out of the landfill). Check OttawaStart or Used Ottawa for locations. Saturday is also the Great Canadian Lemonade Standemonium, where people set up lemonade stands in neighbourhoods all over the city. The event supports the Ottawa Regional Cancer Foundation. Ottawa Veg Fest is a celebration of all things vegan and vegetarian. Organized by the National Capital Vegetarian Association, the event includes talks on health and sustainability topics, exhibits, food samples and cooking demonstrations. Admission is by donation. Fletcher Wildlife Garden’s Annual Native Plant Sale is on Saturday, June 6. It’s the place to find native wildflowers and find out which plants are best for your yard or garden. Velo Vogue’s Fashion Show is on Saturday, June 6. Get inspired to ride your bike, and check out local clothing and accessories, food and drinks. Proceeds support RightBike. Random Hacks of Kindness might be your thing if you’re interested in brainstorming with others about environmental and social challenges. Participants will be designing apps for the Child and Nature Alliance of Canada, Ottawa Riverkeeper, VoteSavvy and other organizations from Friday, June 5-Sunday, June 7. Part of the Magnetic North Theatre Festival June 4-13, The Global Savages (June 8-13) is described as an 18,000 year old story that presents the world view of Indigenous people, told by the Debajehmujig Storytellers, in outdoor performances that evolve as the storytellers engage with people and places. The Global Savages are also inviting people to join them early on Saturday, June 6 from 4:45 a.m.-8:00 a.m. for a Sunrise Walk on the Sentier des Voyageurs Trail from Gatineau to Ottawa. Heather Garrod of Planet Botanix sent us word that the fifth annual Ottawa Veg Fest is teaming up with Ottawa’s first Yoga Fest this year. At the Ottawa Veg/Yoga Fest, local businesses will have displays on vegan food, yoga and related products and services. You can see the list of exhibitors here. Two films, Forks Over Knives and Vegucated, will also be shown. Admission is by donation, with proceeds going to the National Capital Vegetarian Association, which founded Veg Fest, and Prevent Cancer Now. This year the festival is organized by the group Ottawa Local Motives. The festival runs June 22-23, 2013 at Saint Paul University, 223 Main St., from 10 a.m.-4 p.m. If you go on Saturday you can also catch the Main Farmers’ Market from 9 a.m.-2 p.m.
National Wildlife Week is April 10-16, with the Canadian Wildlife Federation’s second annual Walk for Wildlife. Events in Ottawa include a walk in the South March Highlands on Saturday, April 16 at 11 a.m. Meet at the corner of Klondike Rd. and Second Line Rd. Contact Deanna Wright at wrightjd@rogers.com for information. ORIGINALS – The Spring Craft Sale, with over 180 artists, artisans and designers, runs April 14-17 at Lansdowne Park. Thursday, April 14 will feature a “green” fashion show with fashions and accessories made from recycled materials by Canadian designers (7 p.m.). The Sale runs Thursday and Friday 10 a.m. – 9 p.m. and Saturday and Sunday 10 a.m. – 6 p.m.
ECO EXPO: Ottawa Healthy Living Show will be held on Earth Day Weekend, Saturday and Sunday, April 23-24, from 10 am to 4 pm at the RA Centre, 2451 Riverside Drive in Ottawa. “Our mantra is: Go Green, Eat Local, Be Healthy.” In addition to a wide selection of local exhibitors the show will include a series of informative workshops and presentations. Earth Day Ottawa will hold a free concert with Amanda Rheaume and Jeff Logan on Thursday, April 21 7-9 p.m., and a children’s concert on Friday, April 22 1:30-2:30 p.m., both at the Museum of Nature. The Museum is free on Earth Day, April 22. See the Earth Day Ottawa website for other Earth Day events. Diana Beresford-Kroeger, author of The Global Forest, will speak on the healing power of trees Thursday, April 28 at 7:30 p.m. at the Museum of Nature. Reserve on arrival at reception or in advance at 613-566-4791 or reservations@mus-nature.ca. 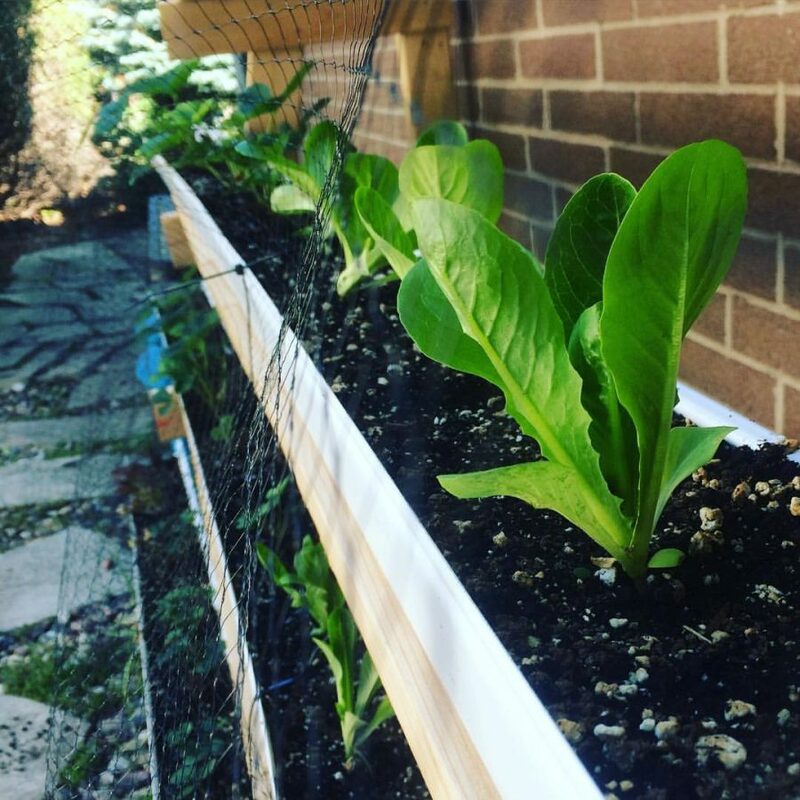 Just Food is offering beginner-level Organic Vegetable Growing Workshops at various locations around the city. Cost $5.00 or pay what you can. There’s one Wednesday, April 27 6-8 p.m. at the Centretown Community Health Centre, 420 Cooper between Bank St. & Kent St. Contact Susannah Juteau at 613-233-4443 x 2198 to reserve a spot. Check Just Food’s website for upcoming workshops on this and other food- and gardening-related topics. Ottawa Veg Fest ’11, presented by the National Capital Vegetarian Association and The Table Vegetarian Restaurant will feature vegetarian (vegan) food. The festival will include over 30 exhibitors, guest speakers, a silent auction, food demonstrations and a vegan cupcake challenge. It takes place Sunday, May 1 10 a.m. – 5 p.m. at the Glebe Community Centre, 175 Third Avenue. Free admission. As previously posted, the Canadian Museum of Nature’s celebration of Earth Month and the National Capital Wildlife Festival continue throughout April, with speakers, workshops, nature walks and more. This evening I stepped into the Roots store in the Rideau Centre and confirmed that it does indeed sell environmentally-friendly shoes made by Simple Shoes. I posted a few days ago about my saga of buying Simple Shoes from an on-line U.S. store. Well, now I know I can buy them right here in Ottawa. However, they do not carry the particular style that I bought on-line (and which is shown in the photograph for that blog post). Instead they carry the ecoSNEAKS for men and for women. I assume that other Roots stores across Canada also carry Simple Shoes, but if you’re making a special trip I suggest you call ahead, just in case. With the Canadian dollar stronger than the American at the moment, the temptation to shop on-line for environmentally-friendly products from companies south of the border has never been harder to resist. I succumbed to temptation the other week and ordered myself the pair of Simple Shoes in the photo above. The experience of ordering from the U.S. was not entirely a happy one. Simple Shoes recently got a massive eco-makeover. Their product-line now features pedbeds made from recycle popbottles, 100% post-consumer recycled paper footforms, organic cotton and organic linen uppers, natural rubber or recycled tire soles, and water-based cements. Moreover, Simple shoes are minimally packaged in shoeboxes made from 100% post-consumer recycled cardboard and/or in biodegradeable bags. I needed office-type shoes for my new desk-job, so how could I resist buying such a stylish pair with such an environmental pedigree? My first choice would have been to buy Simple Shoes locally. Glebe Trotters used to sell the brand. However, they don’t anymore. I’m not sure why. I emailed the Simple Shoes distribution person to find out if there were any Ottawa retailers I didn’t know about, but she replied in the negative. The closest place I could go to buy Simple Shoes in person would be Ciara’s Casual Chic in Toronto. They also offer shopping on-line. It can be a little chancy buying something like shoes from a catalogue, but I’d had a pair of Simple Shoes before, so I knew what size was likely to fit. Unfortunately Ciara’s online store didn’t have the shoes I wanted in my size. By this time irrational impulses took over. I simply was not going to be denied Simple Shoes. The dollar was doing well, so I thought why not order them from the U.S. Bad decision. Ordering went smoothly. Despite being so eco-conscious, the shoes were only $85 USD. Not bad for shoes. Shipping was $18 to Canada, again a cost I could swallow. Unfortunately, when UPS showed up at my door they threatened to hold my lovely environmentally-friendly shoes for ransom unless I shelled out another $42.44 to them for brokerage and duty. I don’t mind paying the government the taxes they would be getting if I had bought the shoes from a Canadian retailer. I do mind paying UPS $30.00 on top of the $18 they were already paid for shipping, for the supposed effort it takes to take a pair of shoes across the border. I had no choice, however. If I wanted those shoes I had to hand over another $42.44. So I did. And the shoes fit. And I love them even if they cost $145.44 instead of $85. But there is no way I would purchase another pair from across the border. So if anyone knows of anywhere in Canada that sells Simple Shoes and would be willing to ship to Ottawa, please comment!